Summer may be coming to an end, but our tri season is still heating up! 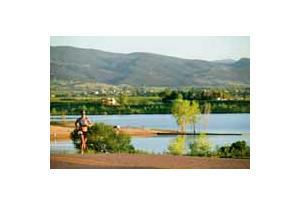 Join us at the Boulder Reservoir for the 12th Annual Boulder Sunset Triathlon, a local favorite. For the 4th year in a row we are the proud host of the Mountain Collegiate Conference race and the USAT Duathlon Race Series. Make sure to register early for this one because we will sell out in early August. This race is must-do, featuring a distance for everyone in the family.